With fast fashion flooding the marketplace and new designers cropping up every season, it’s more and more of a challenge for quality brands to distinguish themselves from the rest. Better to simply start a category of your own. 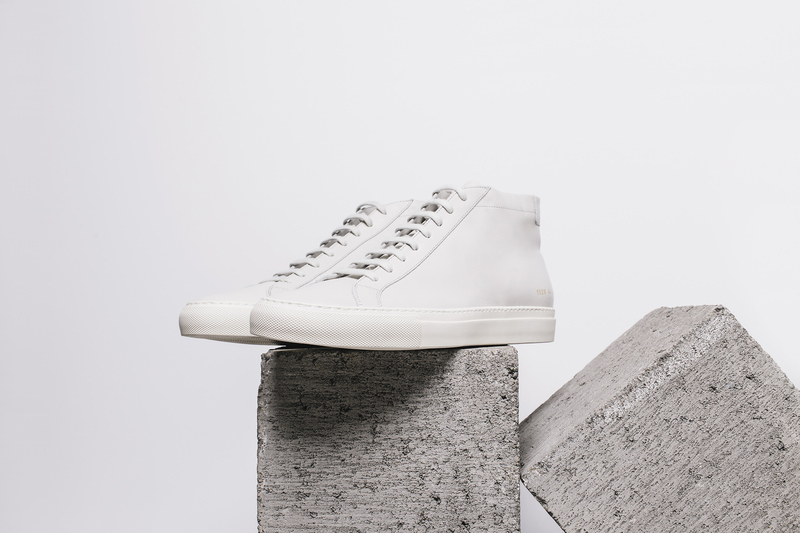 Former V magazine art director Peter Poopat and brand consultant Flavio Girolami did just that when they founded Common Projects over eleven years ago. In style at the time were flashy sneakers and over the top designer shoes. But neither that style nor traditional dress shoes complemented the slimmer clothing the two were wearing. Thus began their task to design the perfect sneaker. 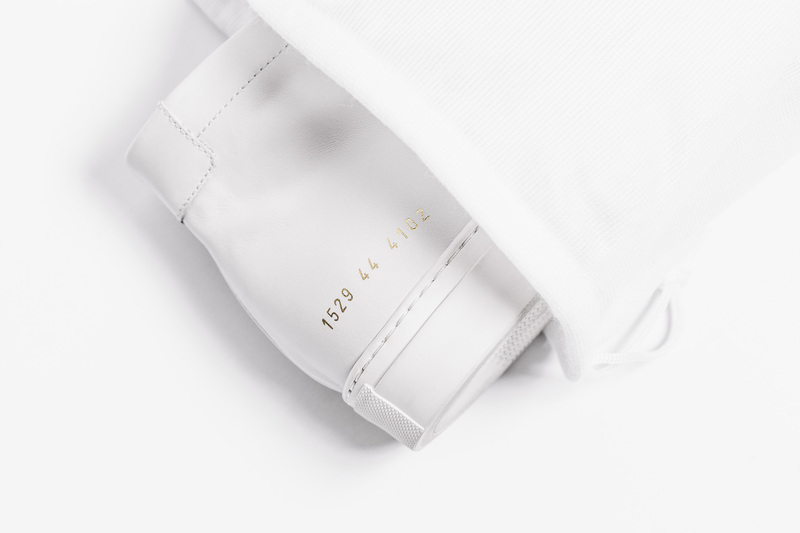 Starting with a factory in Italy, the two founders emerged with one of the first truly luxury sneakers and began a movement that is still going strong. 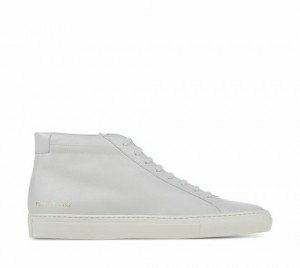 But amidst the continuous hype of sneaker culture (with mainstays like Adidas vs Nike featuring bold branding and sponsored events), Common Projects’ version of hype are celebrities like Ellen Degeneres and Drake who wear their shoes because of the quality and details, not because of trend or paid placements. They aren’t active on social media or advertising either, which is remarkable for a brand that is now available in over 200 retailers around the world. 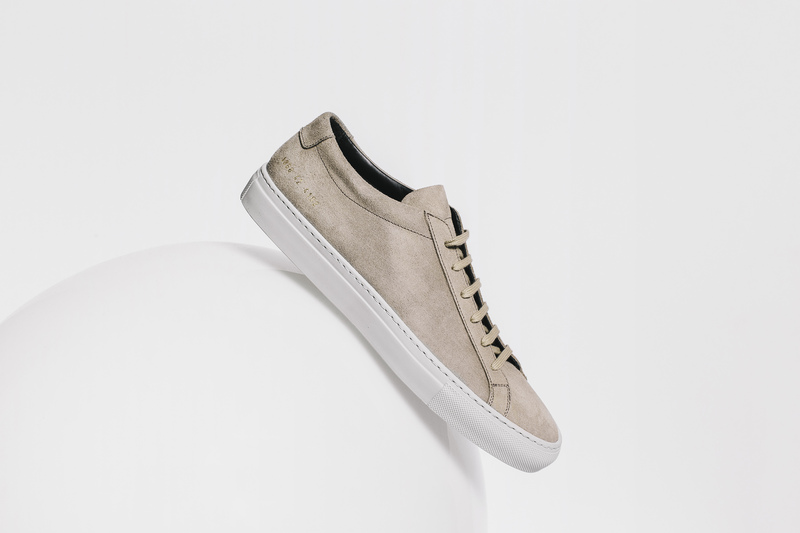 Common Projects’ success ultimately anchors on the fact that their quality and keen attention to detail means the shoes speak for themselves. Take the article number and size for instance. 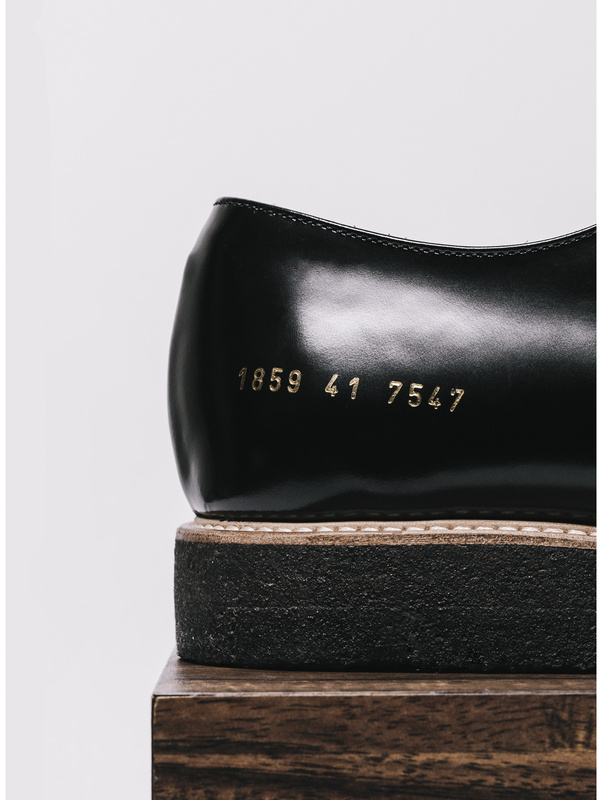 Originally placing each under the tongue (like most), the founders eventually decided to integrate the numbers into the design of the shoe, displaying them on the outside heel counter. 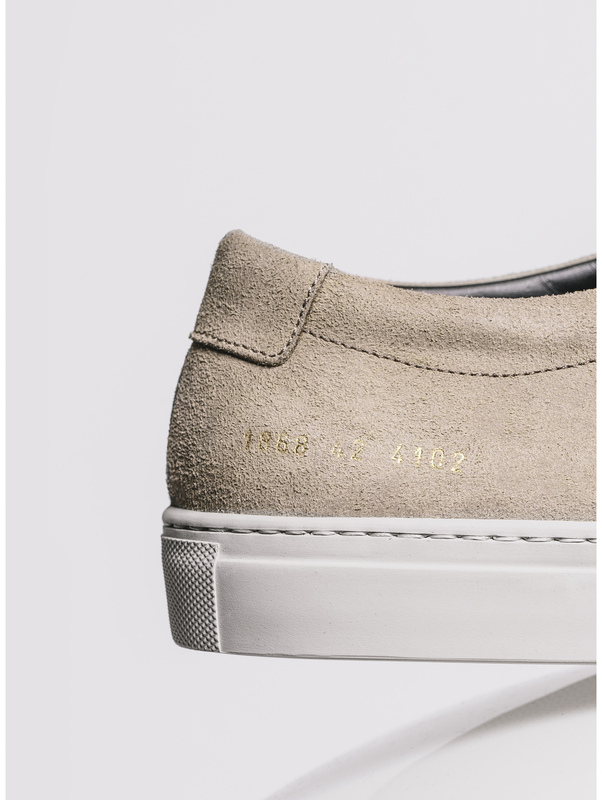 They added four digits as shorthand for the color of each each shoe, lending the numbers an aesthetic balance. “It had a purpose, but it wasn’t necessarily permanent,” says Poopat. 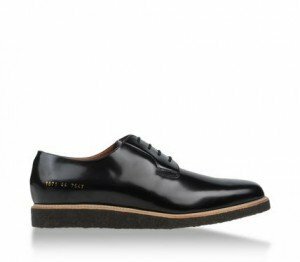 For customers who wanted a completely clean and blank shoe, the numbers could be rubbed off. The result is a small, ten number set, divided into three, that has been stamped in gold on the outside of every shoe. 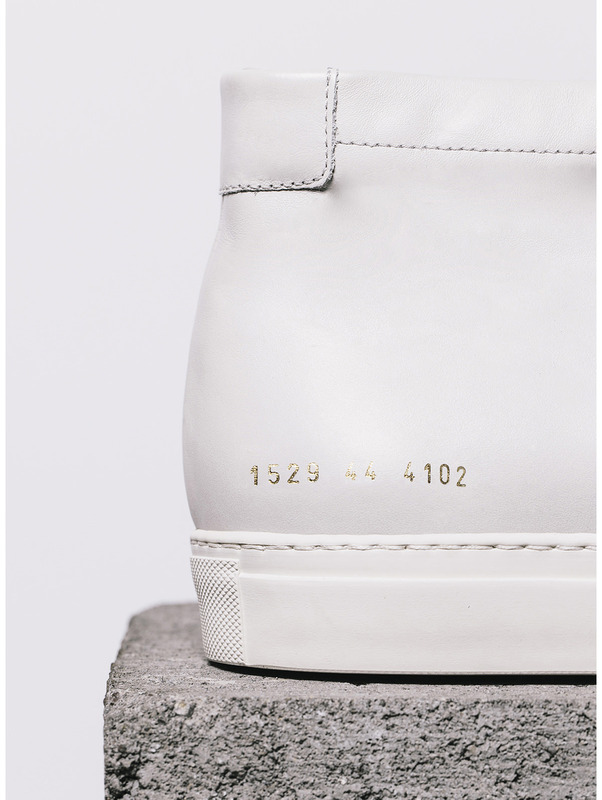 A seemingly small detail that has become an admired signature of Common Projects’ aesthetic. 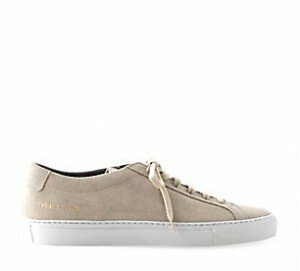 The Exclusive Waxed Achilles Low is one of Common Projects signature pieces, the aesthetic, shape, materials, and measurements of this shoe are impeccable. 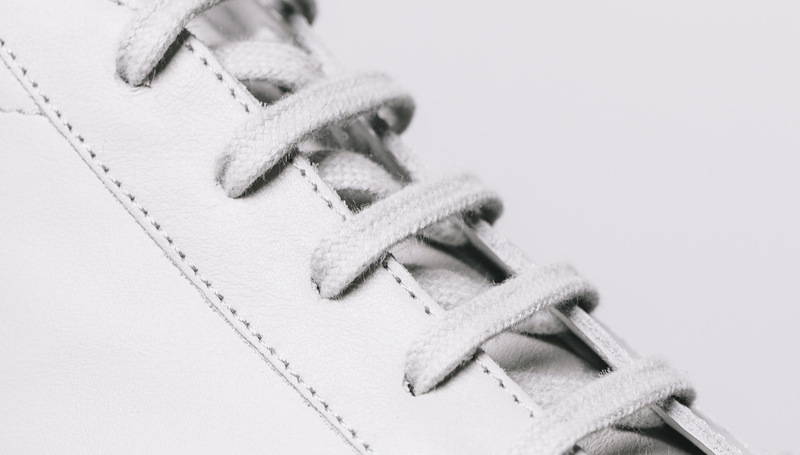 The premium waxed suede, leather lining and insole, rubber midsole, and tonal laces are all made in Italy. This is one of three new colorways offered exclusively at Steven Alan. The Original Achilles Mid is as simple and clean as you can get in a high top sneaker. The lines and curves stretch across the narrow shape and distinguishing gold numbers stand out in perfect balance on the heel. For the minimalists and sneakerheads alike, this high top deserves its own shelf amongst your shoe collection. 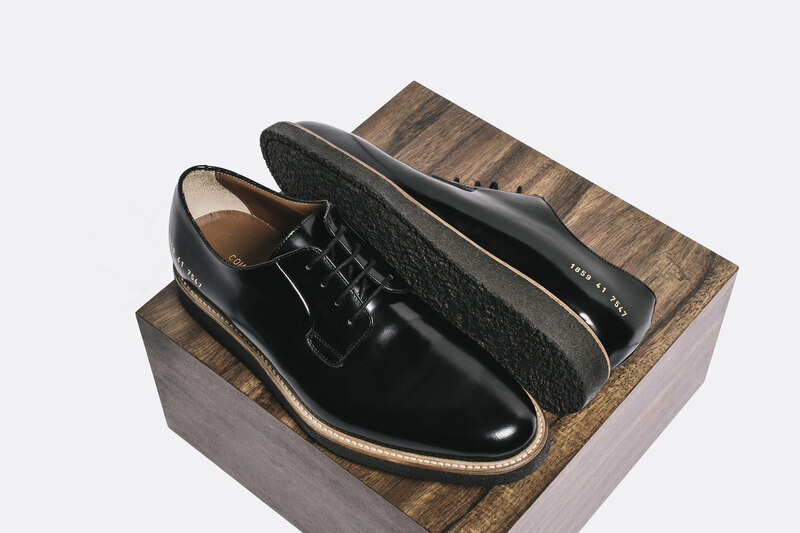 Finally, the Derby Shine Black is a fresh take on a classic men’s Oxford dress shoe with polished leather so shiny you can adjust your tie in the reflection. 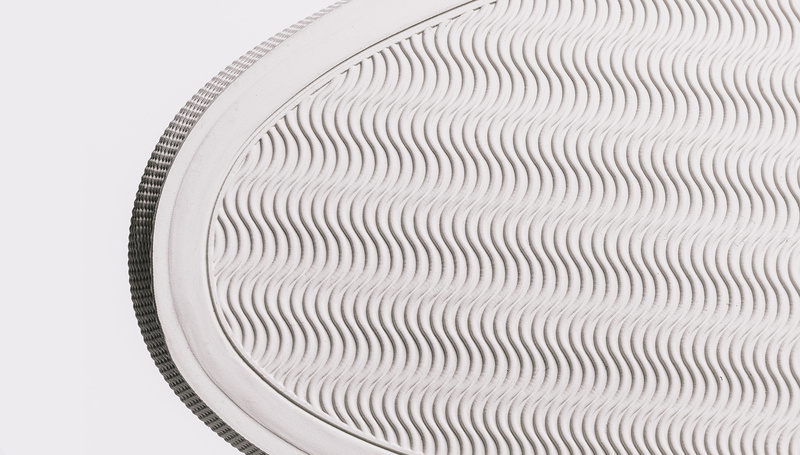 It’s the details again that set it apart from others of similar style. A light brown leather with tan stitching was placed in between the 1 inch thick black rubber sole, which adds a casual element. How it’s worn, dressed up or down, is entirely up to you. 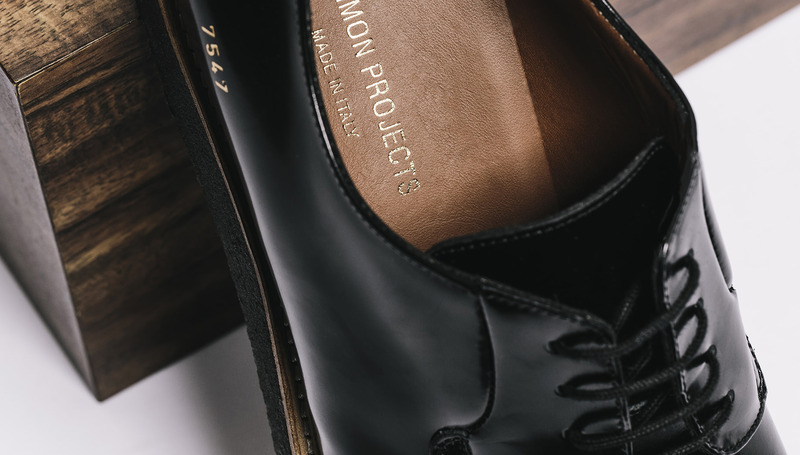 Elevate your shoe game with one of these or any of Common Projects designs. Once you experience the design, materials, and details, you’ll undoubtedly understand the value of the investment you’ve just made.